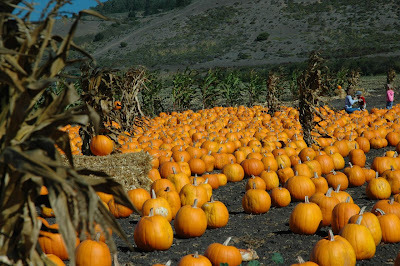 #14 The Pumpkin Patch - We go to a few each year and enjoy every trip. I prefer the more natural settings, with "you pick em" options, rather than the pumpkins placed out in a field for you to graze through. Corn mazes, hay rides, lots of fall trinkets to buy. I love it all. Planning on a trip tomorrow afternoon with Pa to a local farm. Colorado has lots of great options for patches, mostly north of Denver. I have a feeling Kansas has just as many.....based on the wide open spaces outside of the city. Can't wait to find out! As I previously posted, a great source for pumpkin patches throughout the United States can be found at this link. Enjoy!